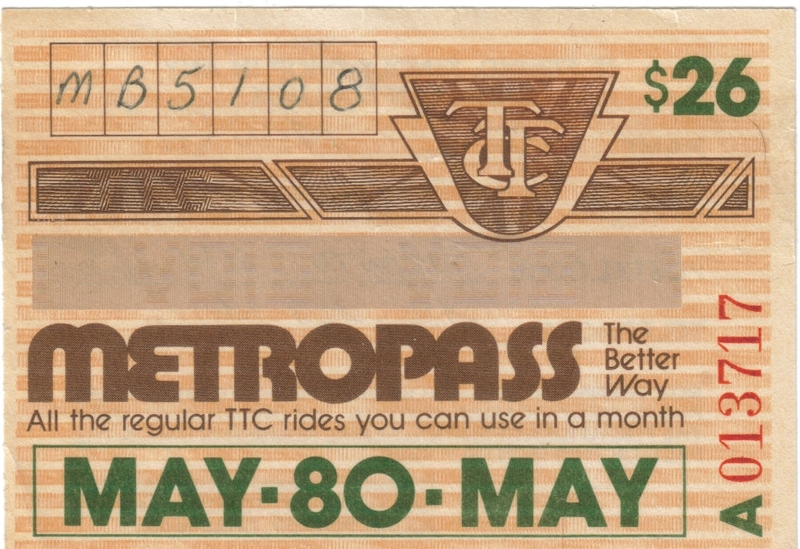 May 1, 1980, saw the introduction of Toronto’s Metropass and the beginning of a shift away from pay-as-you-ride travel on the TTC. The pass did not come without some political battles, and the stock TTC line was that this just wouldn’t work in Toronto. What they really worried about, of course, was lost revenue, a topic that comes up every chance TTC management gets to cry in their beer about the good old days when people actually paid full fares to ride. The fare multiple in 1980 was 52 – the price of the pass at $26 was the equivalent of 52 tokens at, wait for it, fifty cents each. Over the years it was wrestled down to 46, but has been drifting up again in an attempt to make those pesky pass holders pay more. The ratio stands at 50.5 today for a regular pass with no discounts. In fact, passholders now represent over half of all TTC rides. In 2014, out of a total 534.8-million rides, 290.7m were paid for with transit passes. It is long past time that we should think of pass users as if they are some small privileged group, but rather that they take the majority of trips on the TTC. It is their fares which are the “standard”, not the higher priced token users nor the real cash cows, those who pay the full cash fare. The chart below shows the evolution of fare media usage over the past three decades. This report is expected to arrive on the October 2015 board agenda.